ManAboutWorld.com Is Jamaica Safe and Welcoming for LGBTQ Travelers? Is Jamaica Safe and Welcoming for LGBTQ Travelers? 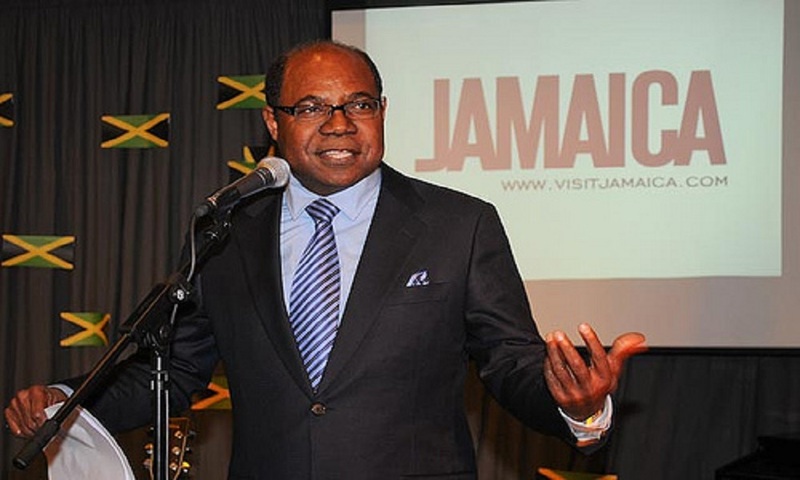 Next month, Jamaica will host a tourism conference on jobs and inclusive growth. Tourism jobs and training have been an important source of economic empowerment for LGBTQ (lesbian, gay, bisexual, transgender and queer) people all over the world, and Jamaica’s focus on providing opportunities for local entrepreneurs to create experiences for visitors is particularly promising. Jamaica is the most cited example of places that are not friendly for LGBTQ people — In 2006, Time Magazine labeled it “The Most Homophobic Place on Earth.” Much progress has been made in the last decade, and indeed, Bloom Jamaica will also be in Jamaica next month, for a seventh time as the largest annual LGBTQ trip in the Caribbean. We caught up with Jamaica’s Minister of Tourism, the Honorable Edmund Bartlett, MP at the World Travel and Tourism Council Global Summit to ask whether LGBTQ visitors are welcome in Jamaica. Check out the interview below. And for more information, recommendations and commentary on Jamaica and the Caribbean, check out our 15-island feature in the February/March 2017 issue of ManAboutWorld. ManAboutWorld: Outside voices in the news media’s frequently cite Jamaica as the best example of a country that is unfriendly and unwelcoming for gay travelers. 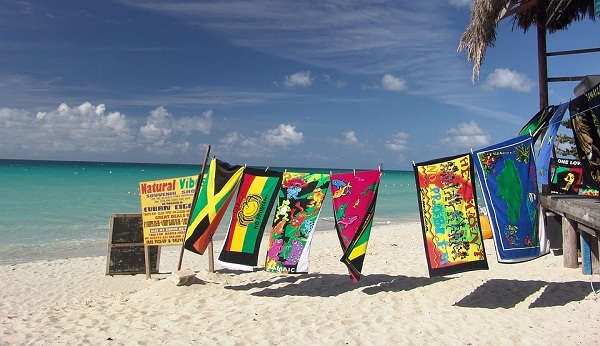 So, what would you say to LGBT travelers, are they welcome in Jamaica? Minister Bartlett: We say that Jamaica is open to all travelers. We have a diversified offering that the extent to which we go to embrace various passion points is equal. We have no laws which prevent people of any orientation to come in and to enjoy the benefits of the destination. The ethics which guide tourism guide everybody, and so it is within that tourism ethic that we will operate with all the visitors that come to our country. ManAboutWorld: Others countries that has been similarly pillared by the media — the Bahamas, Grand Cayman — have made greater public strives in reversing their reputation and being seen as more welcoming, and some of that is started directly with public statement from those tourism ministries. Is Jamaica looking at its reputation in the LGBT community as something to be remediated and if so are you doing that? Minister Bartlett: To begin with, we think that policy initiative from government, legislative arrangements go a long way in defining how peoples actions will develop. One cannot say that an instant statement is going change because people’s attitudes are a time-related matter. But the narratives are changing, and Jamaica is in fact having far more congenial types of narrative to enable a greater feeling of comfort by a wider group of people. Minister Bartlett: So the narratives are improving. We are country with a long history and a culture that is embracing, especially that we are an amalgam of many kind of strains, many ethnic and cultural strains, and within that there are lifestyle issues that we are contending with every day and I believe that Jamaica has come a long way in terms of a more embracing approach for lifestyle issues. Minister Bartlett: And yet no great big statement is made about it. So this is the point we are making. People are happy, people are enjoying the benefits of a great country and they have not felt discriminated against. What happens is you end up with advocates who sometimes are just riding the rewards of the advocacy and the sort of skewed opinions in relation to how their own agenda is structured. ManAboutWorld: The hospitality industry has been among the most progressive in the world. In fact all of the largest hotel companies scored 100% on the Human Rights Campaign Corporate Equality Index. Is Jamaica’s hospitality industry looking at a LGBT issues in terms of sensitivity training for employees in terms of employment non-discrimination? Minister Bartlett: Well. I must said that there is not a structured approach in terms of it, but there is a regular sensitization which happens within the entities themselves and I think that has gone a long way in reducing the level of negative matters flowing now with regards to that community. And I’m comfortable that this is going to continue and it’s going to only get better. ManAboutWorld: Good. Thank you very much. It’s been a few years — probably six — since I’ve been to Jamaica. So I look forward to coming back. Minister Bartlett: You need to come back. Note that many communities are still rebuilding after recent devastating storms. Help rebuild LGBTQ lives in the Caribbean through Alturi. Here is more Caribbean coverage on ManAboutWorld’s blog. The questions that should be asked is not about tourism and the attractiveness that is created on the resorts for the incoming visitors but more for the locals who are finding it more and more difficult to love and live freely outside of gated communities. It is also important to reflect on the many young people who are being bullied and silenced in school and in communities because of their sexuality. Another point to make is the number of young professionals who have migrated to other parts of the world for example Canada, United States, and parts of Europe for protection. Mob beating continue to happen across jamaica. Yes, all excellent points. Thank you for your thoughts, Allan.